MyBat products, 2 Piece Jewel Case for BlackBerry Touch and BlackBerry Monza. 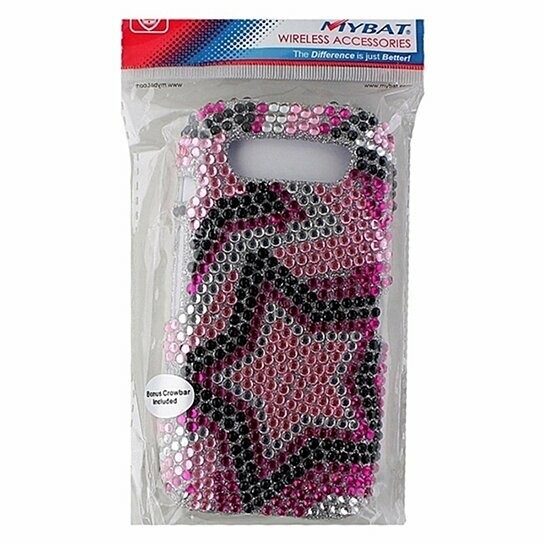 Pink, Silver, and Black Jeweled Star design. Covers front and back of phone.